Lloyd’s Managing Agency requires a dynamic Head of Reserving & Analytics. Reporting into the Chief Actuary you will take responsibility for the quarterly reserve processes, along with leading the analytics function which will predominantly be a portfolio analysis focus at the outset. 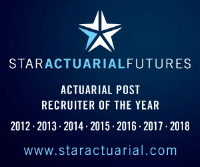 Qualified actuaries, with extensive pqe and Lloyd’s experience will be considered.